Trump’s Cabinet candidates are precisely wrong for the job. This is going to be a rough quadrennium. So, it hasn’t taken more than a day for President-elect Donald Trump to turn his sights toward destroying science. The day after the election, Politico reported on who Trump is looking at to fill his Cabinet spots. The presidential Cabinet consists of people appointed by the president as the heads of the federal executive departments like the Department of Energy, the Department of Education, and so on. The list is as unsurprising as it is appalling. It’s as if Trump’s transition team made a list of all 300 million Americans, ordered them by competency and ability to not destroy everything they touch, and then skipped right down to the bottom. Most of the people they are looking at are Trump cronies, who stood by him through the worst of his racism, sexual assault admissions, and white supremacy dog whistling. Newt Gingrich is being considered for secretary of state, Rudy Giuliani for attorney general, and so on. It reads like the roster of villains from an old Hanna-Barbera 1970s superhero cartoon. But the two spots I want to point out in particular are so galling that—even given the utter depravity of the Trump campaign this past year—my brain almost leapt out of my skull when I saw them. But don’t worry: Apparently Palin isn’t Trump’s first choice. That belongs to Forrest Lucas, an oil executive, because of course. And don’t worry about Palin, either, as Trump has expressed an interest in having her on his Cabinet somewhere anyway. Unless he finds a spot for J.R. Ewing first. As for the second spot I want to focus on, I hope you’re sitting down. Who would make a better secretary of education than … Ben Carson? Answer: practically every human being on Earth. Remember Ben Carson? While he may be a retired neurosurgeon (and by all accounts an excellent one), he has some decidedly terrible views on science. 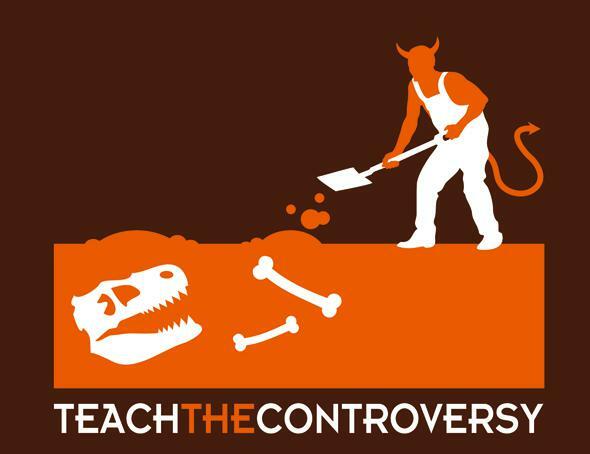 Unless maybe I’m wrong, and evolution really is satanic and the Big Bang really is a fairy tale. But I’m pretty sure they aren’t. Welcome to the new national curriculum. Sigh. No, you’re not welcome to deny facts, Dr. Carson. Unless, of course, Trump puts you in a position where you have the imprimatur of the presidency to do so. To be fair, Trump has also said he’ll diminish or cut the Education Department entirely, so yay? As for everything else, it just gets worse. Trump picked Myron Ebell, a climate change denier, to head up his Environmental Protection Agency transition team. That’s no surprise, as he had already chosen a climate change denying crackpot, Rep. Kevin Cramer, R-N.D., as his energy adviser during the campaign. Trump, of course, has stated repeatedly that climate change is a hoax (then denied he said it, despite the tweet still being in his timeline). 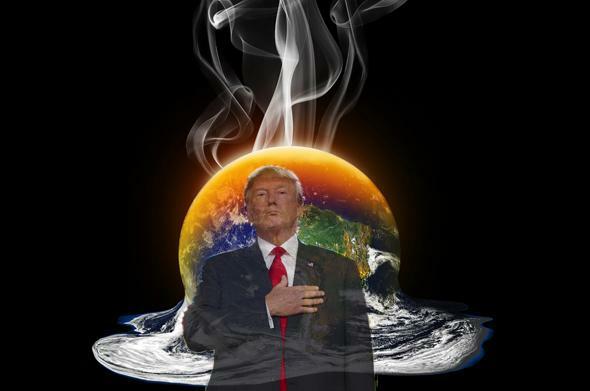 He has said he’ll end all federal renewable energy development, he’ll pull the U.S. out of the Paris climate change agreement, and he’ll kill every environmental safeguard the Obama administration put into place. Mind you, these are just names being floated around; he may go with different people. But not entirely different; I’m sure the ones he picks will be just as mustache-twirlingly villainous and incompetent for their designated jobs as the names we’ve already heard. The bigger picture isn’t hard to see here; Trump will be a disaster for the nation, for the climate, and for the world. And he’s still over a month out from taking the reins. This is a nightmare, and one we won’t be able to wake up from for a long time. All we can do now is stay aware, make our voices heard, and hope that nothing he does is irrevocable. There is some hope, but we’ll have to work hard to mitigate any damage a Trump presidency will inevitably do.